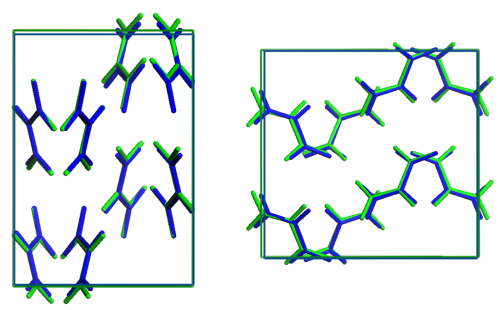 The 4th blind test of crystal structure prediction10‚11 was organized by the University of Cambridge and hosted by the Cambridge Crystallographic Data Centre (CCDC). 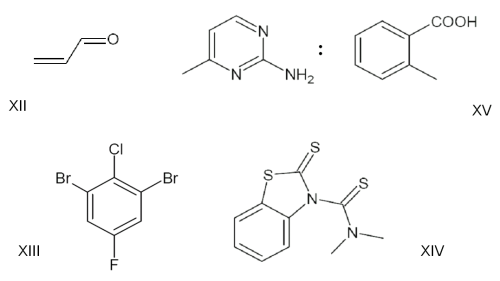 All participants were invited to predict the crystal structures of the four compounds shown below; note that compound XV is a co-crystal. For the blind test, AMS teamed up with researchers from the Institute of Pharmaceutical Innovation (IPI) at the University of Bradford . GRACE was run on IPI’s 96 core Xeon cluster, consuming 4 months of CPU time at full load. 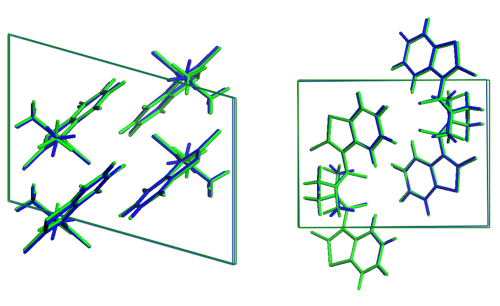 As in previous blind tests, the experimental crystal structures were disclosed to the participants only after the submission data for the predicted crystal structures. 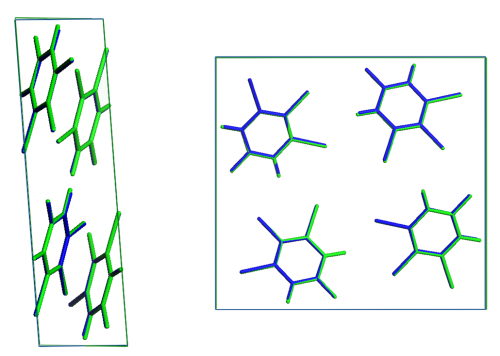 GRACE was the only program ever to predict all experimental crystal structures successfully, all four of them as the most stable predicted crystal structure. 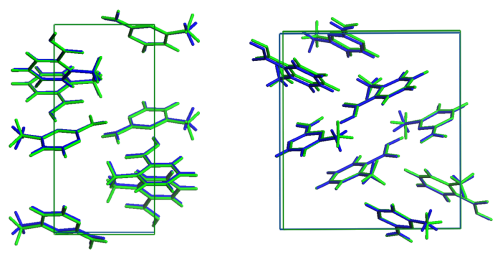 Below you will find overlays of the experimental (blue) with the predicted (green) crystal structures. Since the 4th blind test, the performance of GRACE has improved significantly, and much larger molecules can be studied today. A list of references to the scientific literature can be found here .